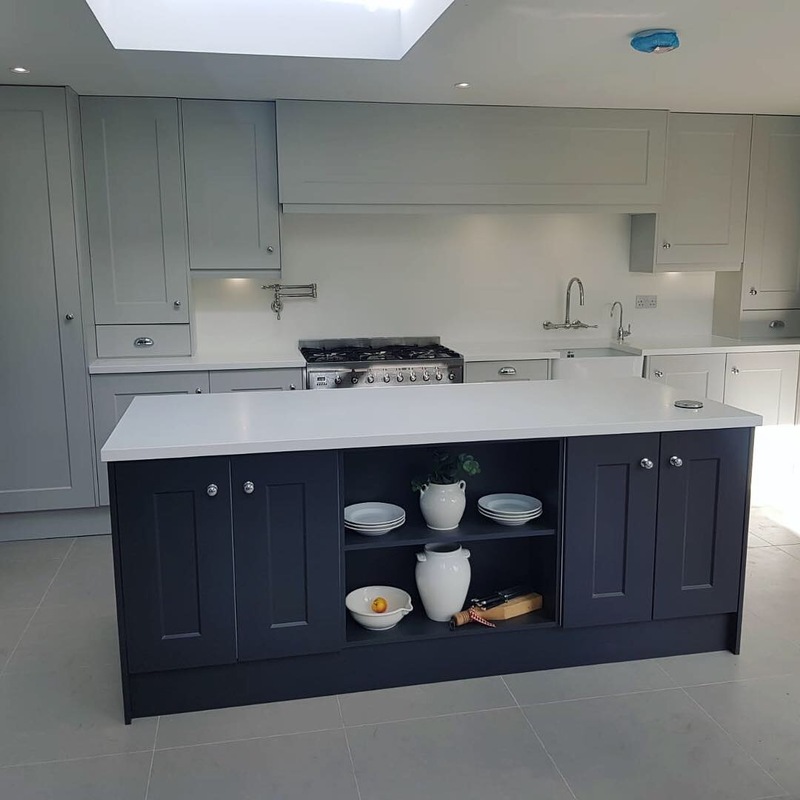 Recent kitchen project as part of a clients home extension. 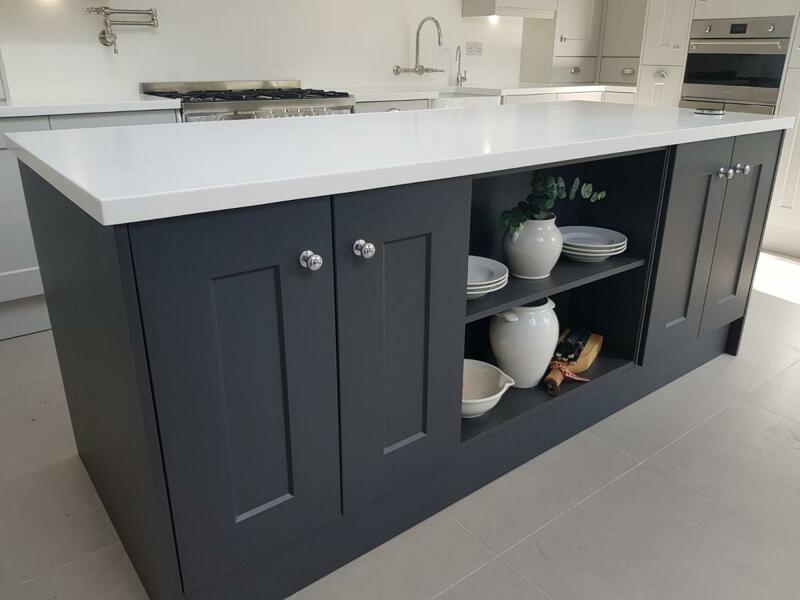 We designed, supplied and installed the area with new Porcelain floor tiles, Made to order 1 Piece Shaker Vinyl Doors in Grey Mist & Anthracite. 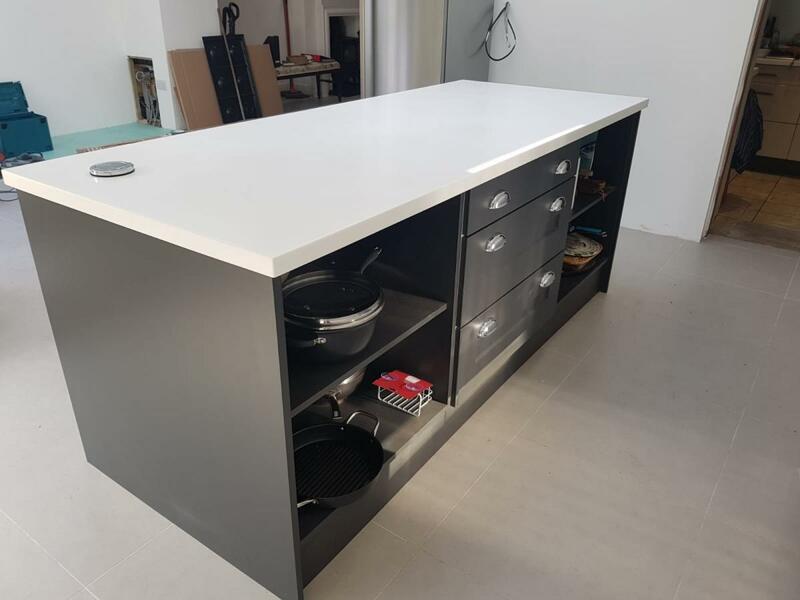 Solid Surface Diore Antartic 40mm Worktops and matching Splashback panel. Brushed Steel accents break up this minimal design with Range Cooker, Wine Cooler, Microwave, Taps and Handles. A stunning mix of traditional design with modern practicality. If you wish to find out more about the products or work carried out in this project please contact us. 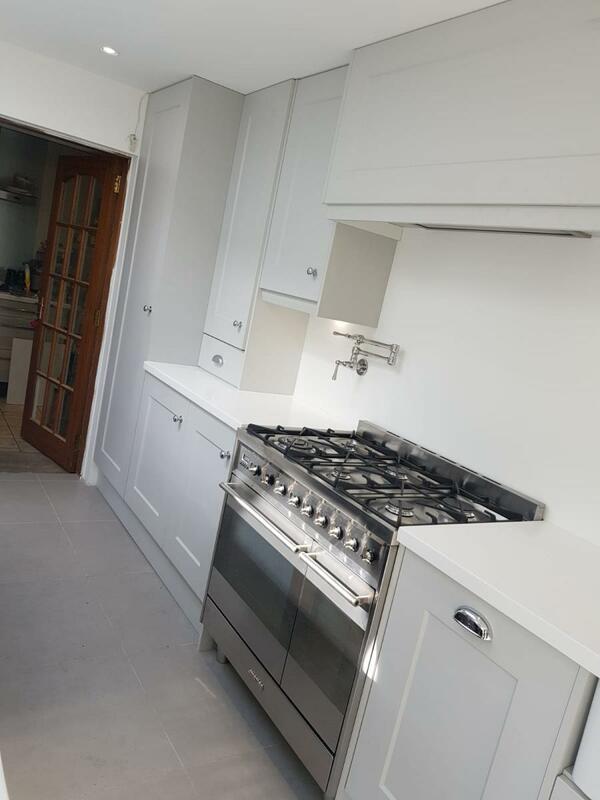 Charlotte through to installation with their own skilled tradesmen, everything came together to give us a truly stunning kitchen.